Project Nefast plays a special new set! 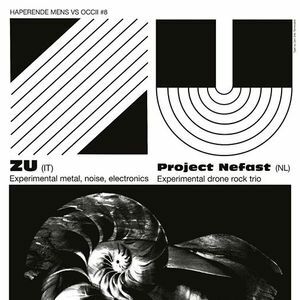 €10 | Presale Ticket [iDeal or Paypal] | Concertzaal is 'cash' only! 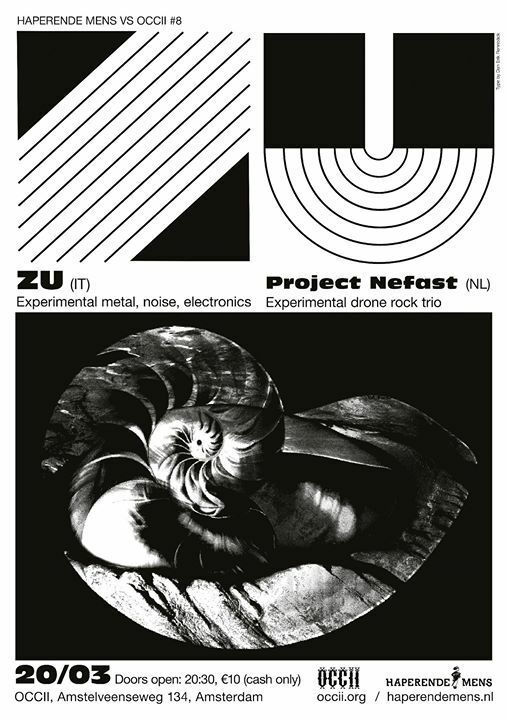 ... Italian trio Zu have been proud to follow their own musical pathways for some twenty years now. Throughout their highly diverse career the band has cultivated the art of collaboration, joining forces with luminaries such as Mike Patton, Damo Suzuki, Mats Gustafsson, King Buzzo of the Melvins, David Tibet, FM Einheit of Einstuerzende Neubauten Jessica Moss of Thee Silver Mt Zion, Thurston Moore, Jim O’ Rourke, Mats Gustafsson, Eugene Robinson of Oxbow, Gabe Serbian of The Locust , just to name a few, but also collaborating with director Romeo Castellucci of legendary avant-garde theatre company Societas Raffaello Sanzio . 15 releases, more than 2000 concerts, and ongoing. "a powerful and expressive music that totally blows away what most bands do these days".